One of South Africa’s longest running flagship comedy brands, Kings & Queens of Comedy, is bringing its biggest line-up in six years. Bringing world-class comedy to Pretoria, this comedy extravaganza sees comic giants from around South Africa entertaining audiences at the Sun Arena Time Square, Menlyn (the first comedic event at the venue) on Saturday, February 10th, 2018. 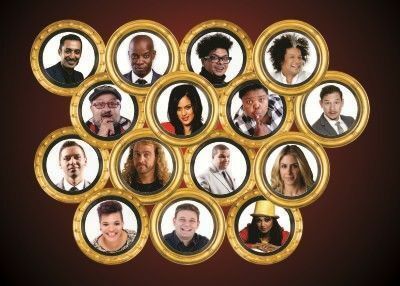 Shining their comical armour and sharpening their witty swords, the stellar line-up includes Riaad Moosa (MC), Alan Committie, Casper de Vries, Donovan Goliath, Gilli Apter, Hannes Brummer, Jason Goliath, Joey Rasdien, Khanyisa Bunu, Krijay Govender, Leeanda Reddy, Marc Lottering, Melt Sieberhagen, Shimmy Isaacs and Sifiso Nene, with a guest appearance by Morgan Beatbox. “We pride ourselves on bringing world-class South African comedians to stages around the country. You are getting a massive line-up of headliner comedians from start to finish. We’ve picked the cream of the crop and we’re excited to bring an even bigger and better Kings & Queens of Comedy for the first time to the Sun Arena in 2018,” comments Osman Osman, MD of Blu Blood. Riaad Moosa returns to centre stage as the host of this royal affair. He certainly seems to have the remedy for the nation’s ills – a healthy dose of laughter, straight up – hold the aspirin – as he gives the audience a snapshot into his life, a father of three kids, husband, comedian, actor and with all the current cultural and political issues thrown in. No end to his talents, Alan Committie, is one of South Africa’s leading award-winning stand-up comic performers. He has travelled all over the globe sharing his hilarious brand of madness. Casper de Vries has been at the forefront of the Afrikaans comedy scene for over 30 years and has developed a strong following with his witty, razor sharp humour and hilarious observations on everyday life. Bringing a lot of character and energy to the stage, Donovan Goliath’s lively manner of storytelling has made him a prolific stand-up act who is set to get the laughs rolling in. Gilli Apter (pronounced with a hard G), has worked as a comedy writer since 2005. She has entertained audiences around the country with her unique style. Hannes Brummer’s comedic style is highly energetic and physical as he goes on about his Afrikaans heritage, the battle of the sexes and becoming a dad. Joey Rasdien doesn’t need much of an introduction. Instantly recognisable, his endearing stage person is intellectually absurd, physically hysterical and thought provoking. Teacher-turned-comedienne, Khanyisa Bunu is a fan favourite. She was the first woman to win the audience choice award at the Comics’ Choice Awards and has also made her mark on South African TV with roles in various series. The beautiful Krijay Govender is a South African actress, director and comedienne. She is a rare mix of brains, beauty and a comic genius on stage. Leeanda Reddy is not only beautiful but she has a bevy of talents. A familiar face on South African stages and screens, she has proved time and time again that she has a flair for comedy with her outrageously funny skits. There’s no missing that trademark ‘fro’… Hailing from Cape Town, Marc Lottering is one of South Africa’s top comedians and has been in the comedy industry for almost 20 years. Marc is the consummate storyteller and continues to keep audiences in stitches across the country and abroad. Melt Sieberhagen has a uniquely South African point of view and an inherent inability to sidestep touchy topics and ‘holy cows’. Having been described as anything from ‘a slightly angry teddy” to a “really funny Dutchman”, he’s just a normal bloke looking at the funny side of living in a dysfunctional society. The hilarious award-winning Shimmy Isaacs looks at her journey as a confused coloured woman who comes into contact with all sorts of cultural dilemmas of her own race and others. Off stage, Sifiso Nene is a man of few words, On stage, however, telling jokes is the only place he feels completely at home. His passion and determination, sprinkled with talent has seen him winning awards and winning the hearts of comedy fans around the country. Always adding a spin to the Kings & Queens of Comedy events, international celebrity beatboxer, Morgan Beatbox, makes a guest appearance. Don’t miss the Kings & Queens of Comedy, 10 February, 2018 at the Sun Arena Time Square, Menlyn, Pretoria. Tickets from R200 and are available through Computicket online and the various retail outlets. The show starts at 20h00 and is rated PG16. Another hilarious production brought to you by Blu Blood in association with Comedy Central Africa. Follow Blu Blood (@BluBloodSA) or visit www.blublood.com for more information. Going on six years of Kings & Queens of Comedy, the show started in 2012 in Johannesburg and has since grown to be one of the leading comedy brands in South Africa, promoting and showcasing local talent from around the country.